What do you do with broken glass items? 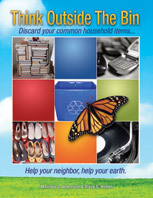 Broken glass and drinking glasses cannot be recycled in most areas in the traditional sense. But they can be put to good use, if you check your local phone listings for stained glass manufacturers or companies accepting scrap building supplies. 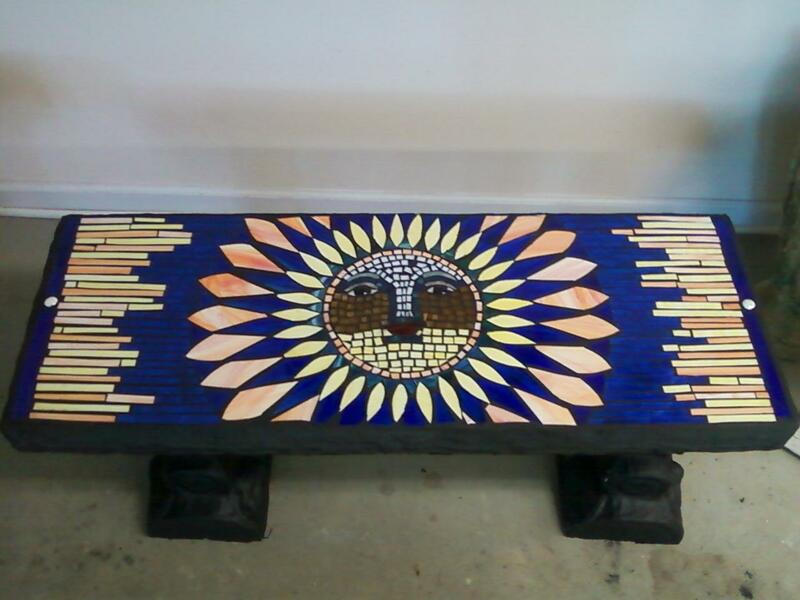 Our friend Kym Cress at A Cut of Glass in Concord, N.C., specializes in stained glass design and offers classes on making beautiful custom-made pieces of art, like this concrete and glass garden bench. Only as a last resort should broken glass go into the landfill, but if you insist, put all broken pieces into a container or wrap them in something going into the trash can. This entry was posted in Glass, Glass jars and bottles and tagged A Cut of Glass, broken glass, Kym Cress, postaday2011, recycle glass, Stained glass. Bookmark the permalink.